Toddlers aren’t exactly known for being the most cooperative people on the planet. 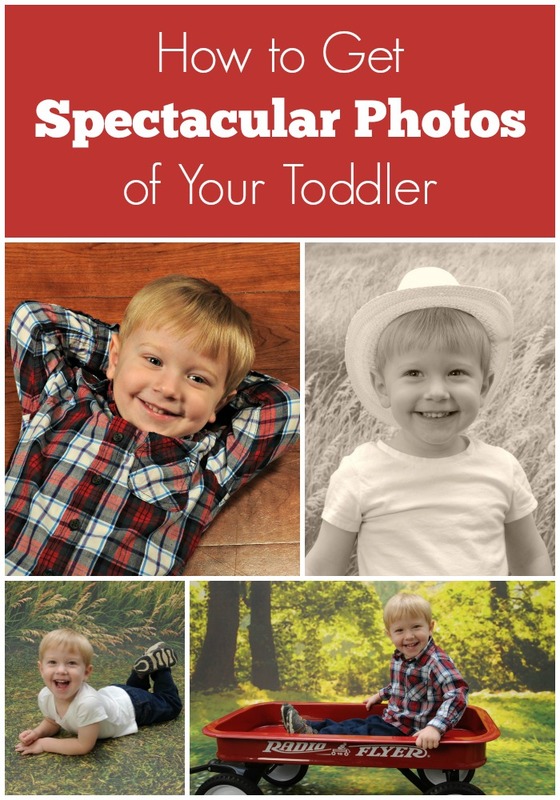 So on the day of your photo session, you might be worried about getting a great shot that perfectly captures your 2-year-old’s toothy grin or your preschooler’s sweet personality. Fortunately, there are several things you can do to make your toddler’s photo session a success! I’ve teamed up with Portrait Innovations to share 5 must-read toddler photo tips. You can see them all on Portrait Innovations’ new blog! What’s your best tip for getting a great photo of your child? Great tips, especially timing it right and bringing “props”. When they can focus on that, instead of the camera, that’s good. Maybe a game of tickle monster before the shoot, to get them smiling and loosened up (makes for great photos during the tickle-fest too!). I take photos of my kids when they’re engaged in something else, like play. I love the idea of having a tickle fight beforehand! I have to take lots of pictures of my toddlers for my review/family blog. What works for me is interaction during the shoot. Asking questions, saying silly things and teasing will almost always bring out a smile or funny expression. I don’t even point my camera at the beginning, but just let it rest on my lap while we have fun. When my children start having fun and being relaxed, then I quietly starting pointing….and shooting! I love the idea of not bringing out the camera right away and instead just let them have fun! Biggest tip for me? Having a DSLR. Toddlers are *fast* and I couldn’t imagine using a point and shoot with its lag time to capture great photos! Agreed! That would be impossible! I really need to read this! Heading over.